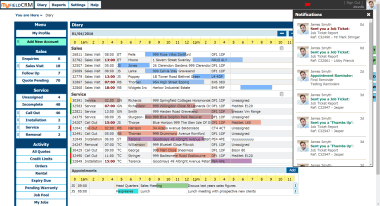 Engineer and technician diary management software. 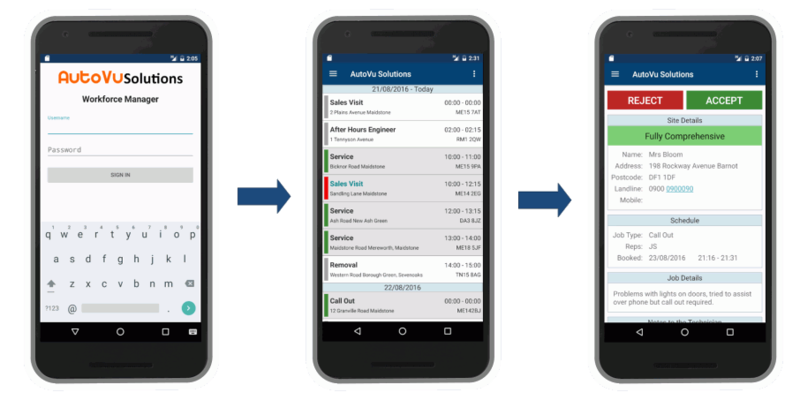 Allocate jobs to service technicians that are sent to their mobile app. The app manages all aspects of site work including technician and customer signatures, taking site pictures and completing service check lists and engineer report. If you have been looking for diary management software to allocate jobs to your field service teams. Contact us to get started with a free online demo and a free trial that requires no set up. Your first user account on 'Basic' is free for 14 days. With everything to gain and nothing to lose, give AutoVu a try today and start growing your business with our professional field service management tools. If you are using spreadsheets and paper diaries to manage your service team, Workforce Manager will improve efficiency and save you time doing the same job. Workforce Manager lets you store every piece of information about your customers. From the first sales contact through to each service visit made, a full jobs and timeline notes history is maintained allowing you to store documents, pictures and product warranty information about single or multiple items they may have bought from you. 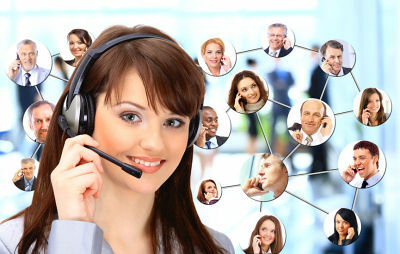 One of our USP's is the ability to link multiple contacts to each Customer or 'Site' record. This allows you to easily find all jobs that are linked to a particular entity. E.G. an Architect, Builder or Local Authority. 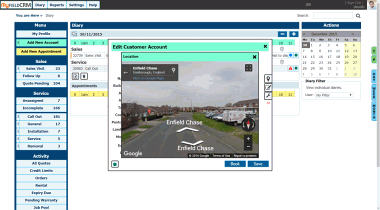 An introduction to Workforce Manager from AutoVu Solutions, the Field Service Management Application for the small to medium sized business. This short video gives a general overview of Workforce Managers field service management core elements. 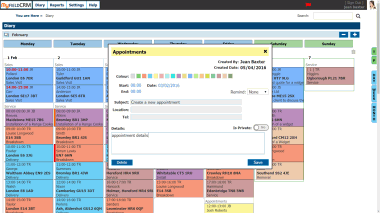 We cover aspects of the diary management system for a detailed view of each engineer schedule, Navigation and visual location of the customers property and work order management. AutoQuote for detailed instant quotations, purchase orders and invoicing are also discussed within the video. If you would like to discuss any of the Field Service Management aspects contained within our introduction video please do not hesitate to contact us. For any field service management company that operates vehicles on the road for field services, pick-up, delivery, collections, or any transport related activity. 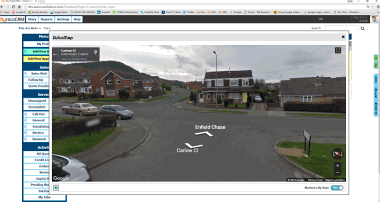 Route planning is directly linked to your customer record so no need to ever type the address details in. 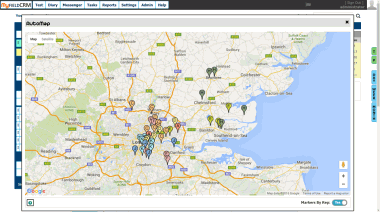 AutoMap automatically uses the details already stored in your CRM. A real must for any field service management company. 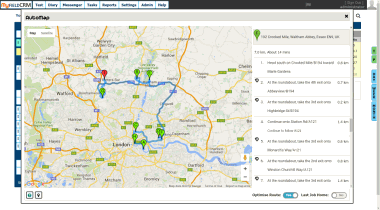 With optimised route planning software, you can cut fuel costs, reduce excess mileage and get your field service team to more locations in less time. All the features you would use on your desktop machine are also available through your mobile device. This means that wherever you may be, your field service management team can sign in and get up to date information on the spot. On call field service management engineers can have full access to warranty information when a customer calls after hours or during the weekend. By raising a job ticket, your engineer can visit site, complete the required work and sign off the job on completion. When your office team gets back to work, they can view all after hours activity instantly. The partnerships we build are the strengths behind our business. By working with you, we create an environment that helps your field service management business grow.